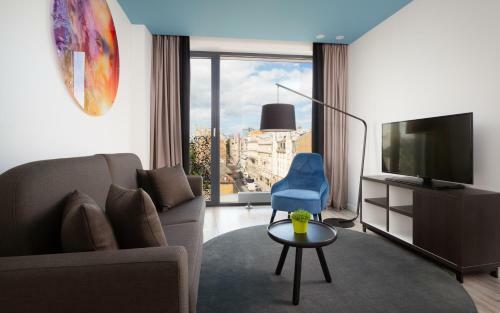 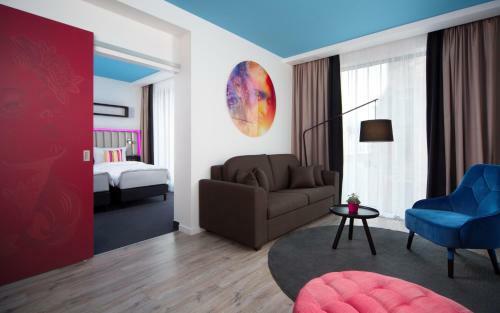 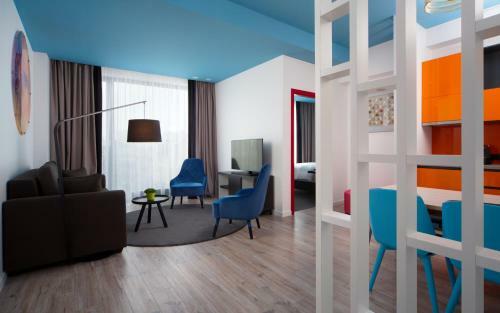 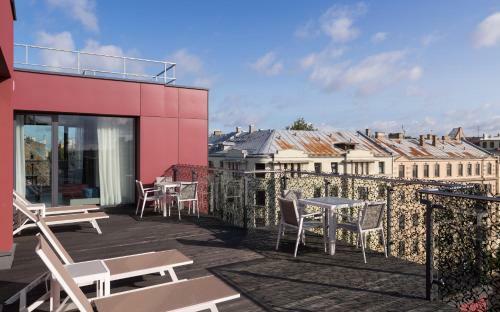 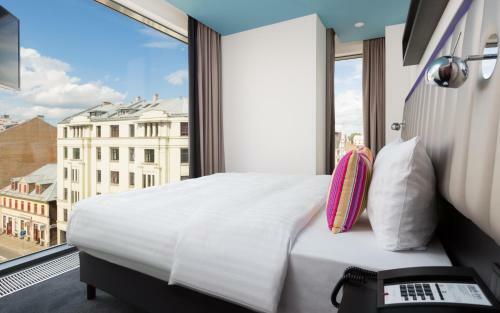 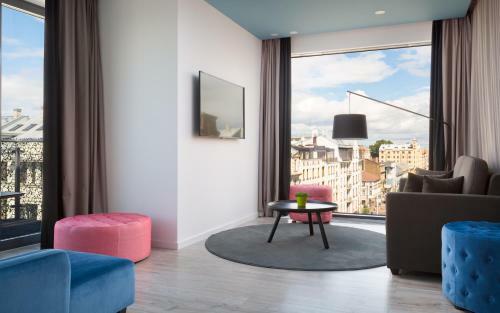 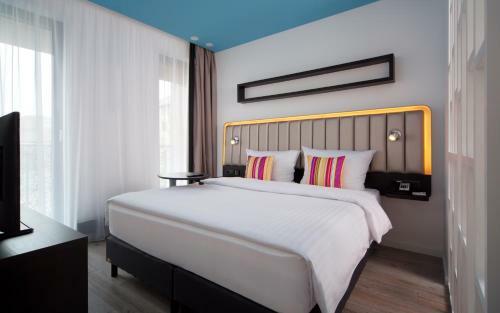 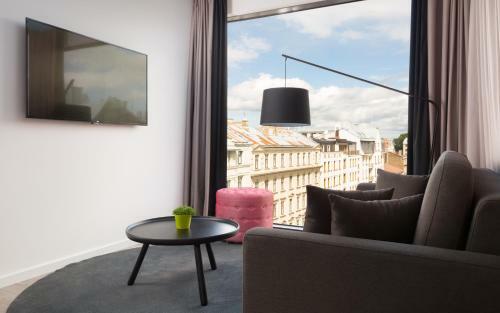 Park Inn by Radisson Residence Riga Barona is a Superior 4 stars hotel that offers self-catering design apartments. 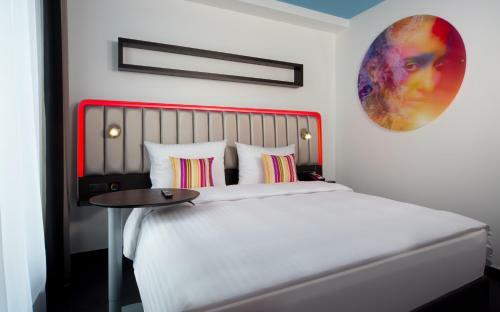 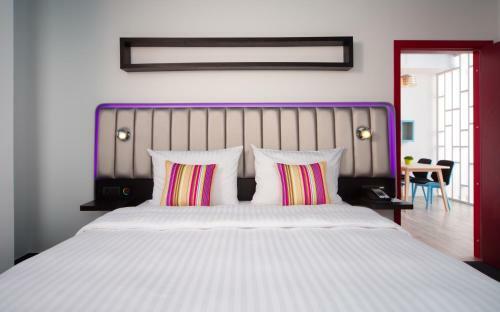 The hotel boasts a central location, offering convenient access to public transport and main city attractions. 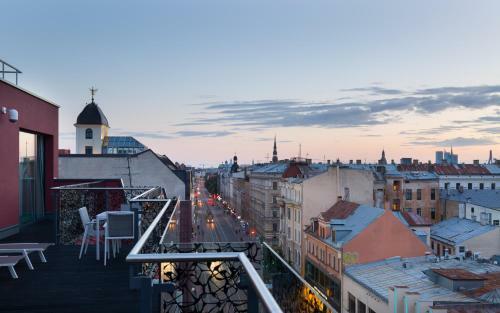 The Old Town is 1 km away from the property. 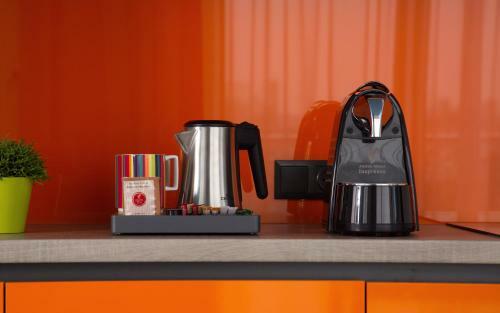 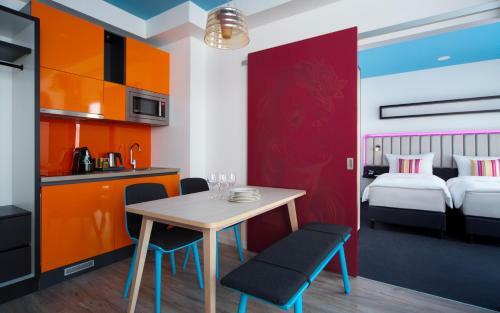 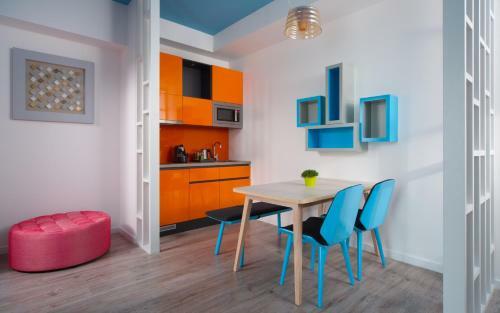 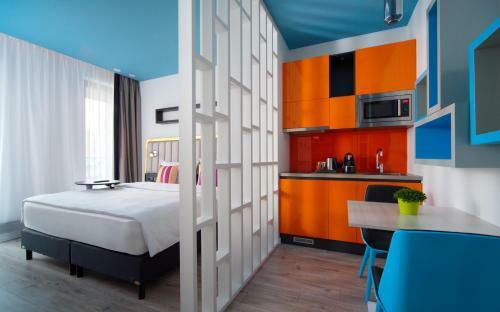 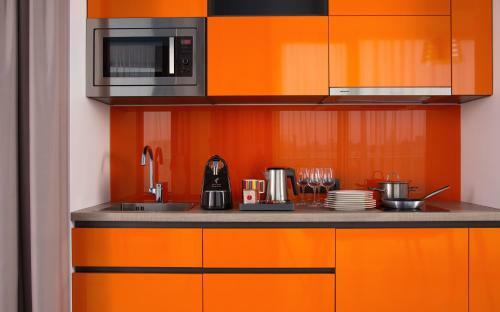 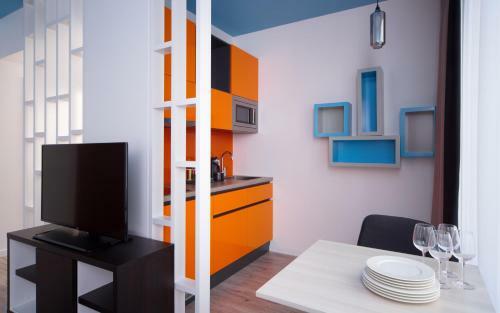 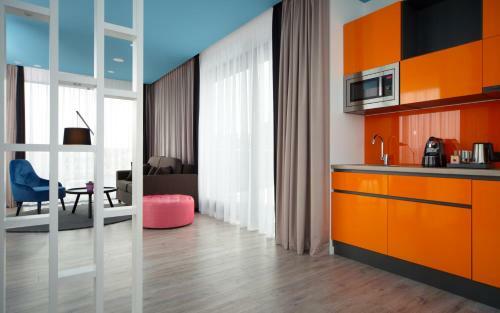 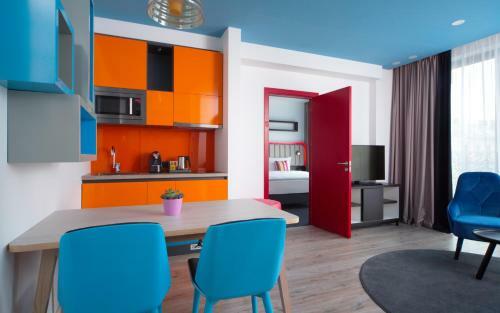 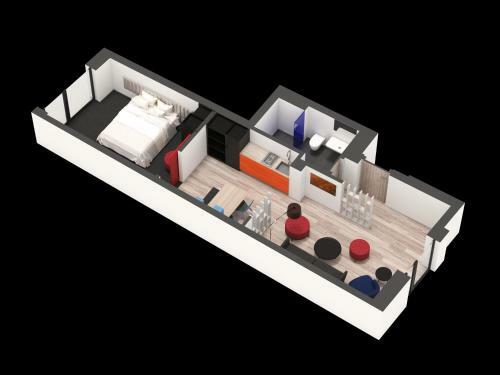 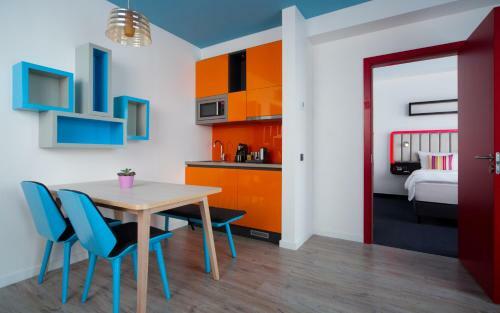 Each soundproofed apartment at Park Inn by Radisson Residence Riga Barona features a unique layout and design, guests can use the equipped kitchenettes to cook their own meals. 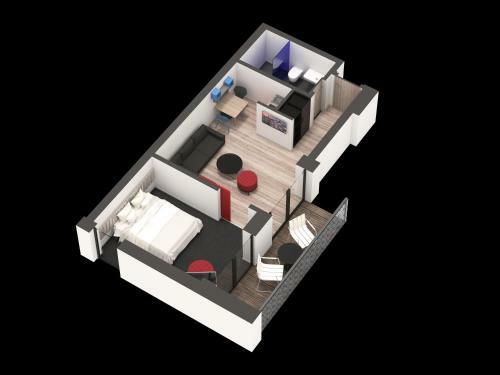 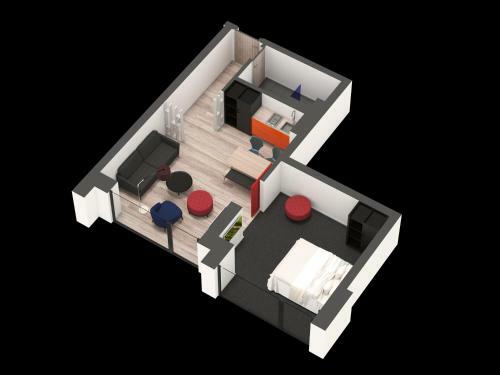 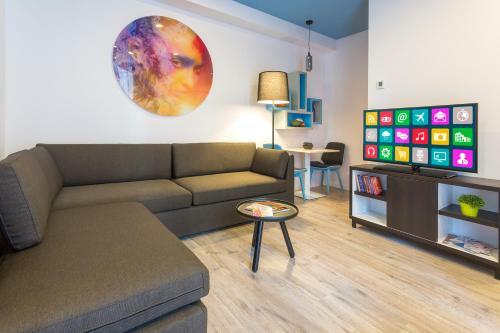 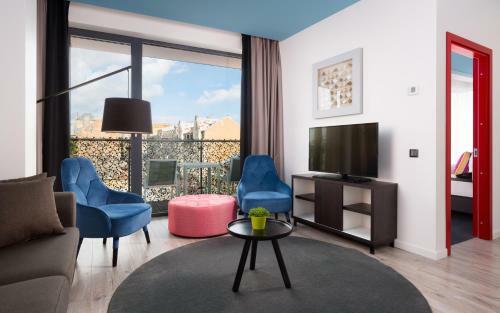 Free WiFi is featured throughout the property and all apartments are fitted with SMART TV. 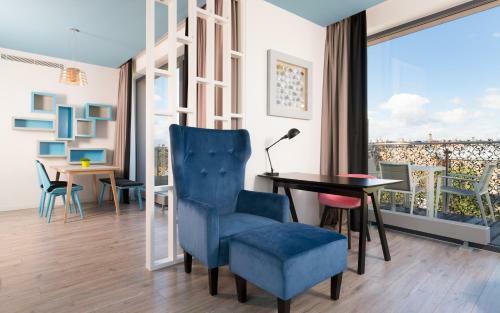 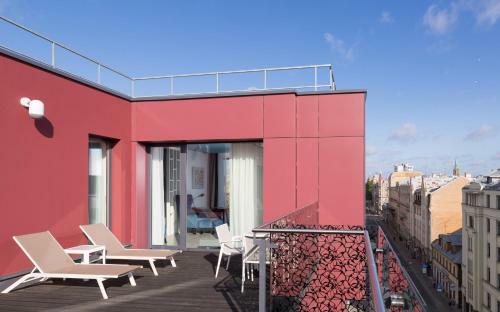 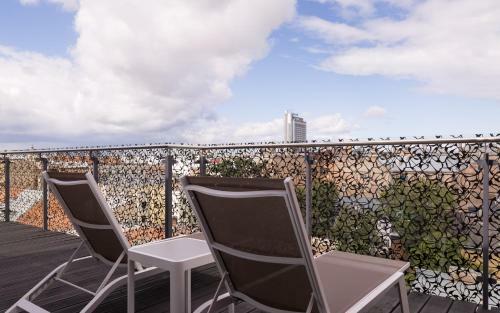 Upper floors feature panoramic city views, while some apartments boast a terrace or balcony. 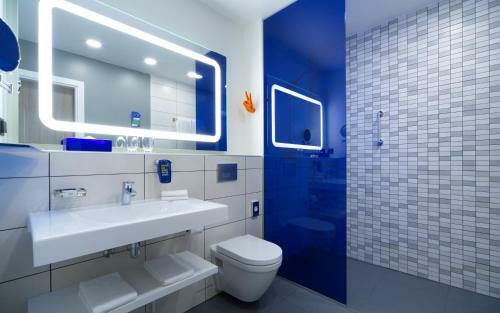 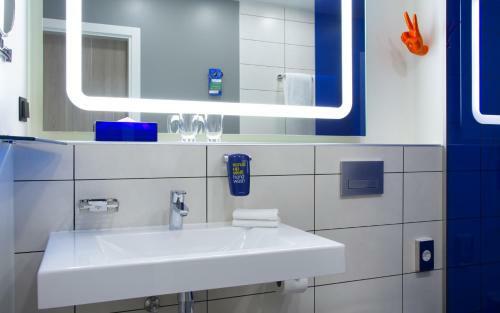 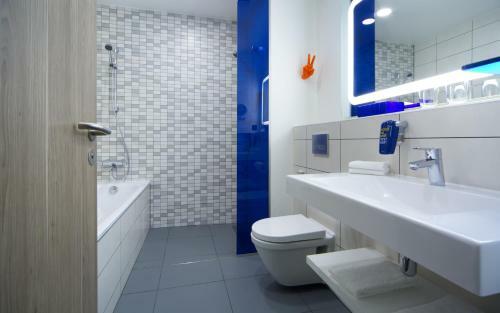 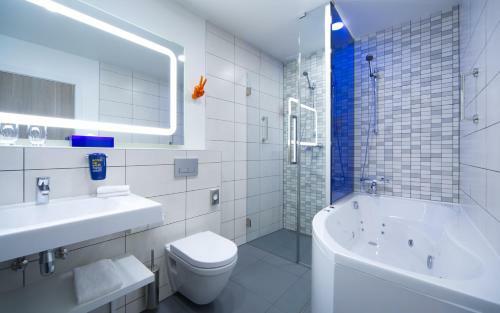 Bathrooms come with a bath or shower, free toiletries and a hairdryer. 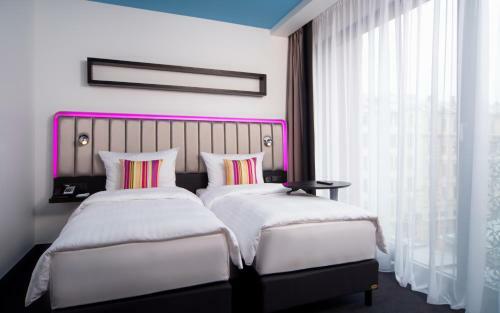 There is a 24-hour front desk on the premises, as well as a snack bar that works around the clock. 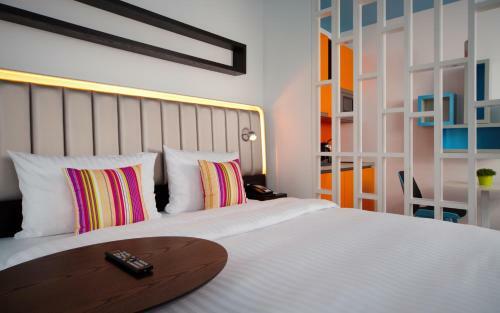 Ground floor hosts an externally managed restaurant Tokyo City, where breakfast is served daily. 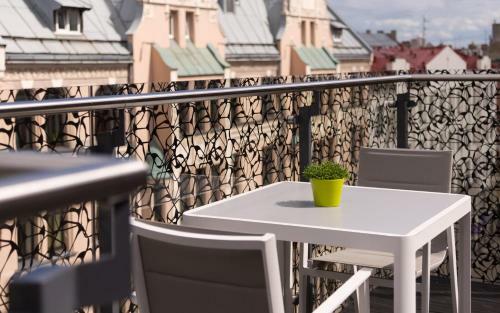 Guests can enjoy Art Nouveau architecture in the neighborhood, main sights of the city are located within a 15-minute walk from Park Inn by Radisson Residence Riga Barona. 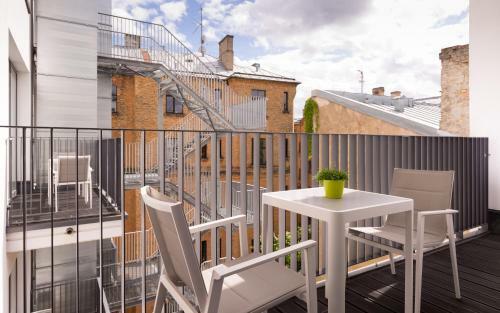 Riga International Airport is 11 km away, while Riga Central Train Station and Bus Station can be reached within 1 km from the property.